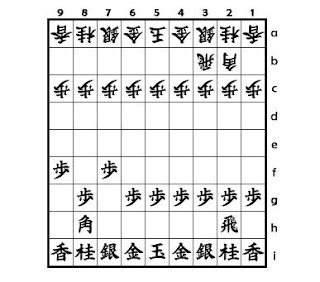 Yamajunn's Shogi opening traps: Niteme San-Ni Hi senpou , part 3. Niteme San-Ni Hi senpou , part 3. 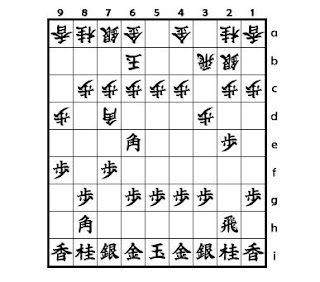 Shogi Opening traps : Niteme San-Ni Hi senpou , part 3. In this line , Sente pushed 9th file Pawn such an early stage of the game . 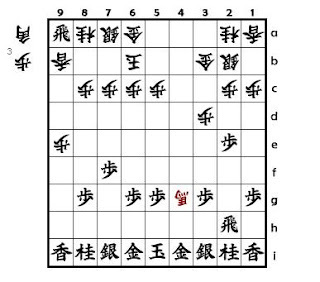 Against this move , 2...P-9d seems very natural move . But this move lead an rough game . Against 2...P-9d , Sente advanced the game with same moves as without 2.P-9f P-9d . Gote also drops his Bishop . How do the 9th Pawns give influence in a game ? Here shows a line of Bishop promotion . Sente can select Bishop exchange line . 9th file Pawns causes Sente's attack in 9th file . This is very rough game ! So if you don't like such a game , you should play 2...K-6b instead of 2...P-9d .